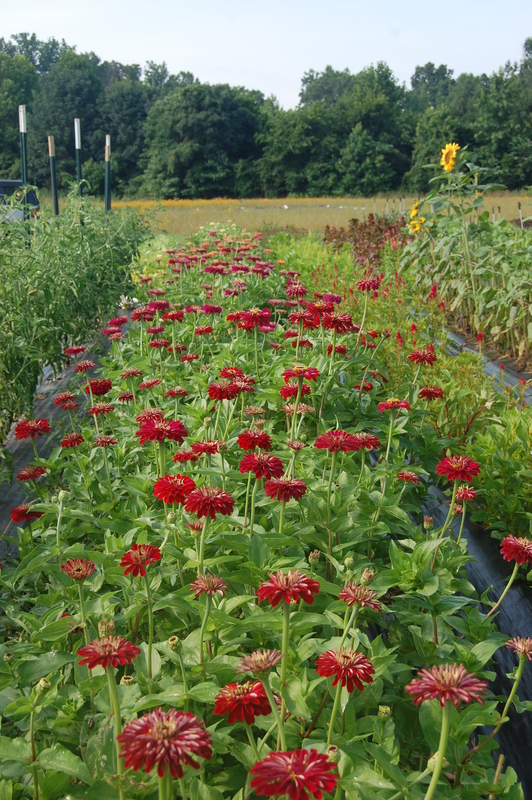 It has been a busy spring and early summer here at the farm and here are some photos of what we’ve been up to. We’ve been making slow but steady progress on our house but most of it isn’t the kind that looks good in photos. 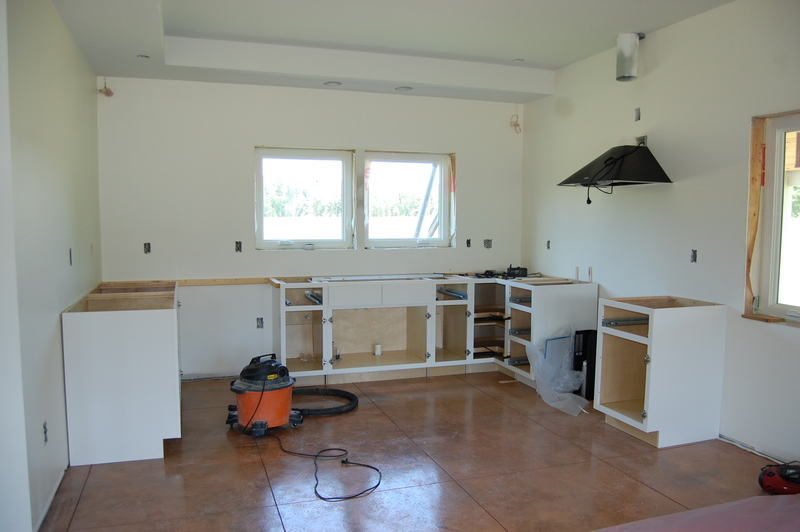 However the cabinets that we installed in the kitchen show up on the camera and give shape to a space that had previously been hard to picture. 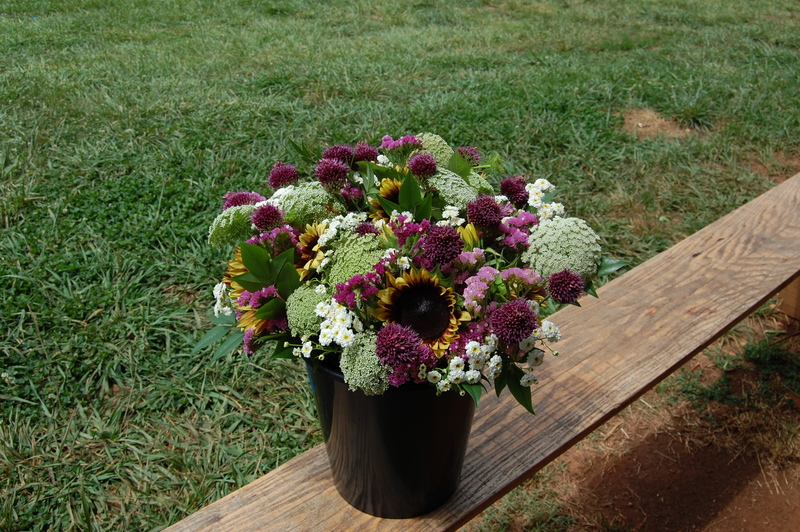 Enjoy the rest of the pictures of the farm, of our subscription bouquets, and of course of the ever-present Mr. Bingley. 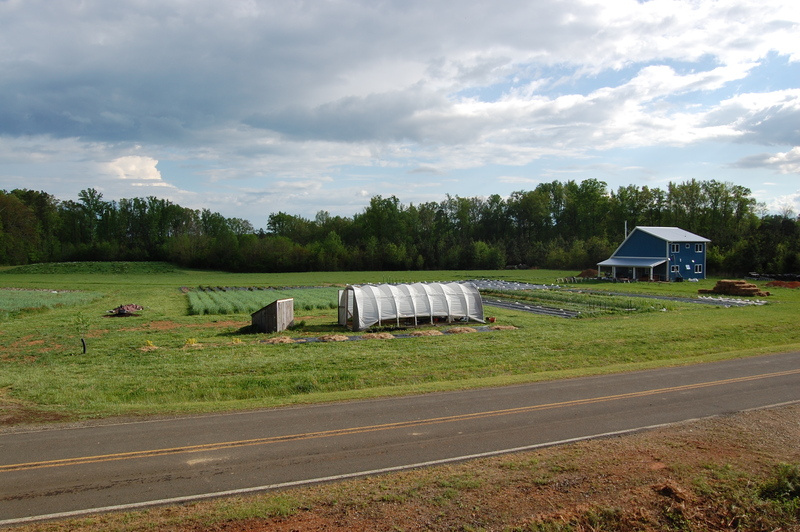 Spring Forth Farm in April 2016. 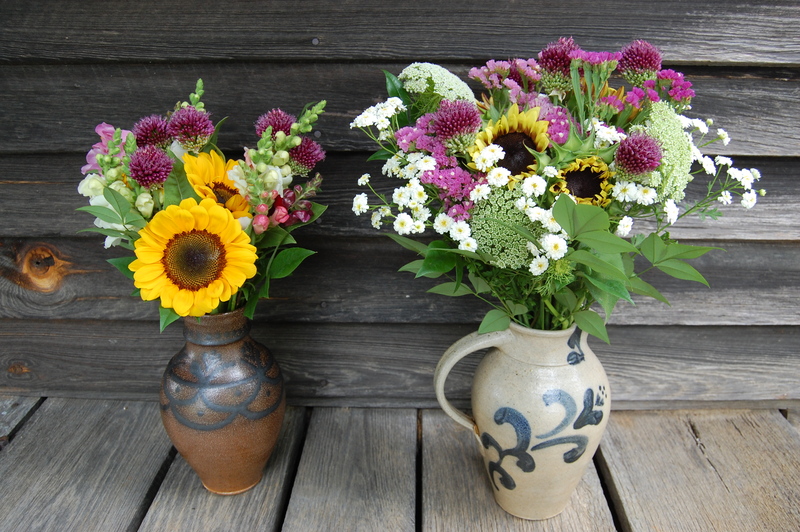 Spring Forth Farm subscription bouquets. 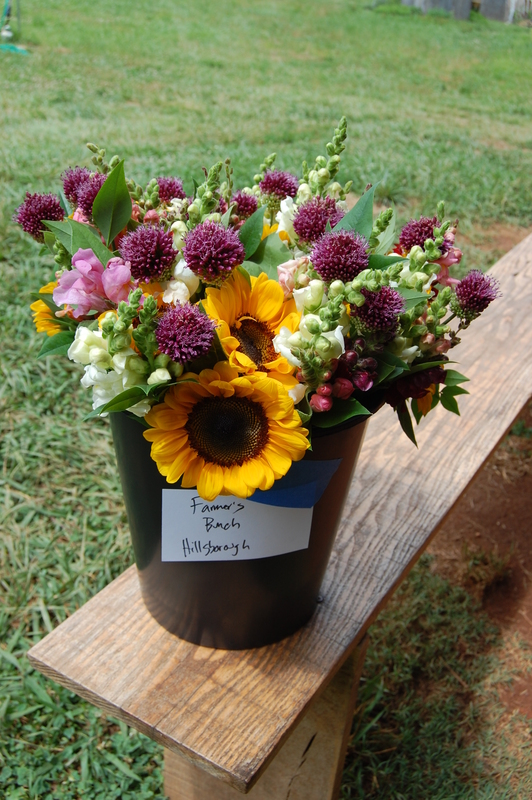 Spring Forth Farm subscription bouquets ready for delivery. 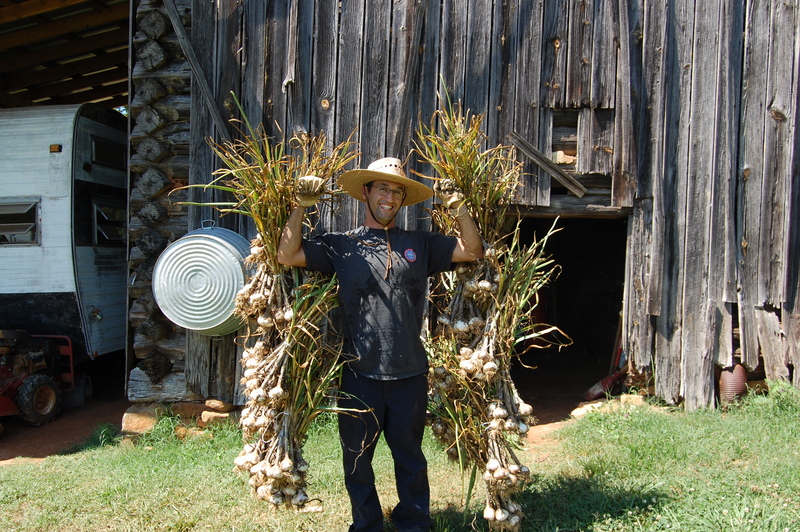 Jonathan with half the garlic harvest. 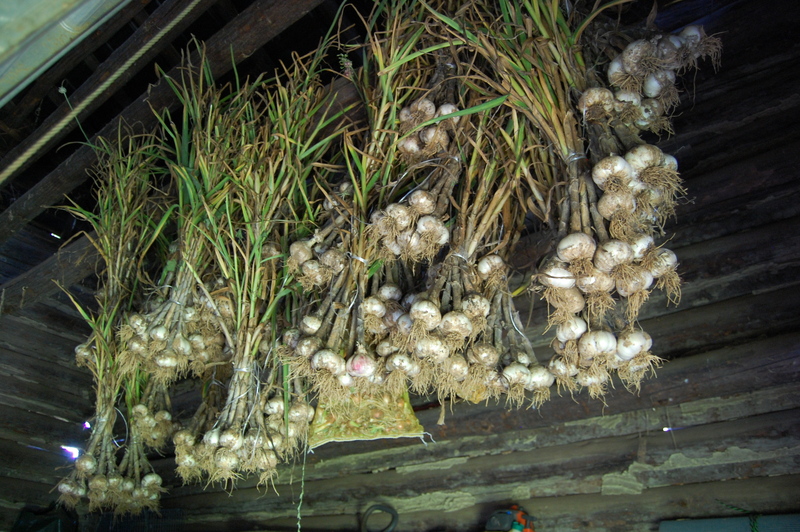 Garlic harvest curing in the barn. 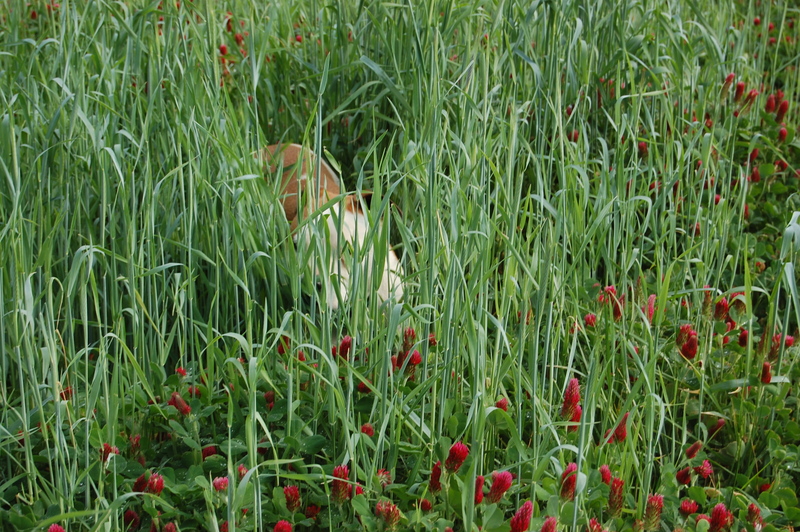 Mr. Bingley, fearsome hunter, enjoying a wallow (and a graze) in the crimson clover. 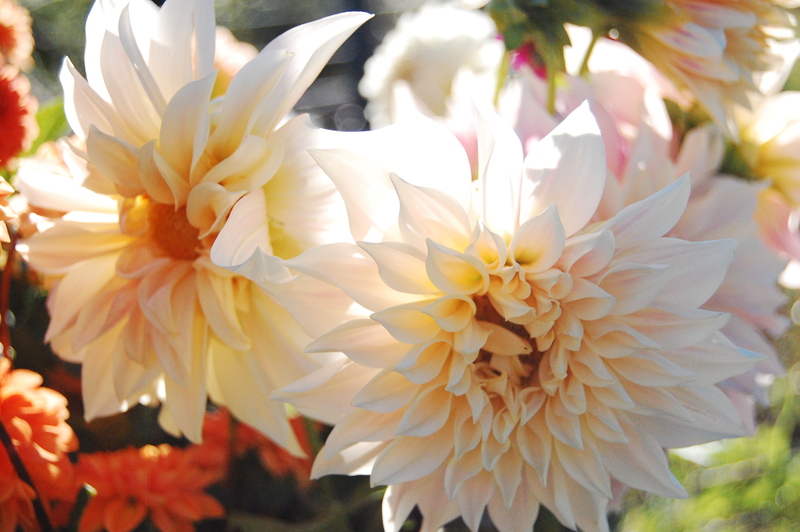 We *SO* appreciate the progress that does show well in photos — keep going! Hope we can get out there soon to see for ourselves.